Anywhere Wild! wilderness multi-day camping trips depend on our supporters and volunteers to find venues. Grayson Sorrels’ first scouting adventure took us to the Humbug Valley near Chester in 2007. Subsequent years have taken us to the Ronald McDonald Camp and Bizz Johnson Trail near Susanville and this year it was Leoni Meadows at 4100’ elevation above Placerville. Grayson and Carol Sorrels found a gem when they discovered Leoni Meadows and for that are Access Adventure’s Volunteers of month. 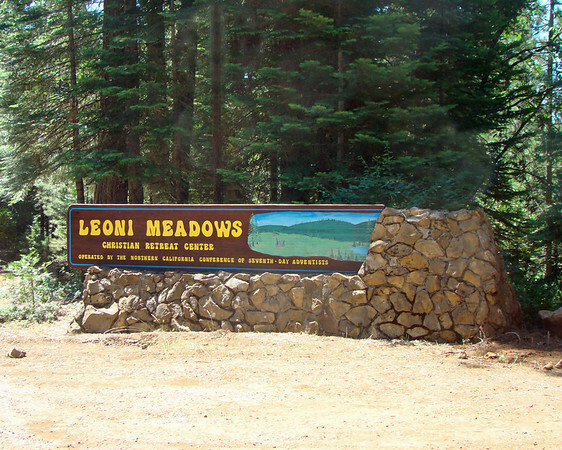 Leoni Meadows, a 7th Day Adventist Camp, provides a large array of programs for children, youth and adults. A teen camp was going on during our visit. Our guest camper, Matthew, was busy on the go-kart track, we rode the train replica and toured the meadows with a stop at a site believed to have been a Miwok Indian settlement. Volunteer, Pam Seifert, after seeing the Sky Swing, decided she would challenge the limits of her disability on her birthday. The Cowboy campers provided evening entertainment at their Rodeo. Grayson and Carol deserve our thanks for finding Leoni Meadows and we hope to return in the future. Christian Record Service for the Blind, headquartered in Lincoln, Nebraska was scheduled to bring campers that week. Volunteer Susan Hassett brought her wagonette and Belgian mare, Cherry, to provide rides for the vision-impaired campers. Access Adventure volunteers enjoyed the beautiful campground and were able to take part in some of the Leoni Meadows activities.